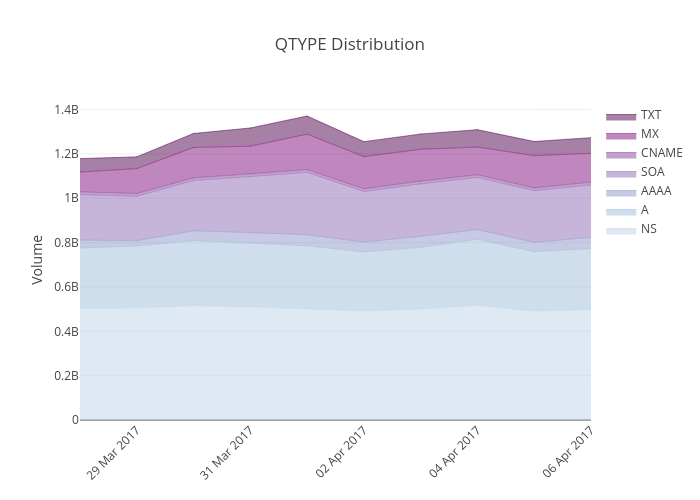 Panagiotious's interactive graph and data of "QTYPE Distribution" is a filled line chart, showing NS, A, AAAA, SOA, CNAME, MX, TXT; with Volume in the y-axis. The x-axis shows values from 1490659200000.0 to 1491436800000.0. The y-axis shows values from 0 to 0.